In tribute to Roberto Firmino's celebration after his winning goal against PSG. 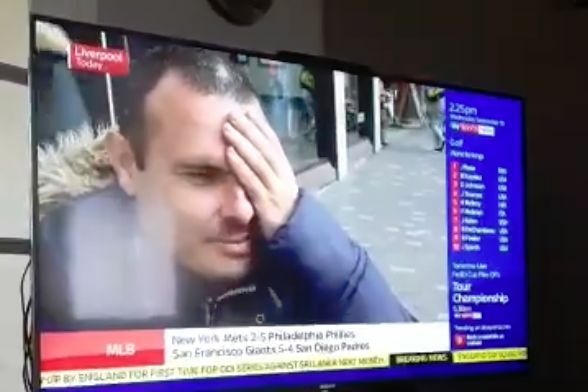 A series of Liverpool supporters answered questions on Sky Sports News while holding a hand over one eye following Roberto Firmino’s celebration after he scored the winner against PSG on Tuesday night. The Brazilian did the same after his injury-time goal in the Champions League clash following an eye injury suffered in a clash with Tottenham’s Jan Vertonghen last weekend. get ready for the liv shop to start selling eye patches.